Father. Husband. Vinyl Music Lover. Technology Enthusiast. Football fan. Python student. Paul Cutler is a married, father of three. He currently works as a product management executive in the security software industry. When he’s not attending his kid’s sports activities or introducing them to classic 80s movies, he can be found listening to his vinyl record collection; watching football or learning Python. Paul is a former gamer (known as Silwenae) and was formerly involved in open source software projects. Paul is a fervent believer in civil liberties and privacy and is a vocal supporter of the Electronic Frontier Foundation. Paul has been blogging about nothing for over 15 years, but most recently about learning to code with Python. It was a good week for Python and me. 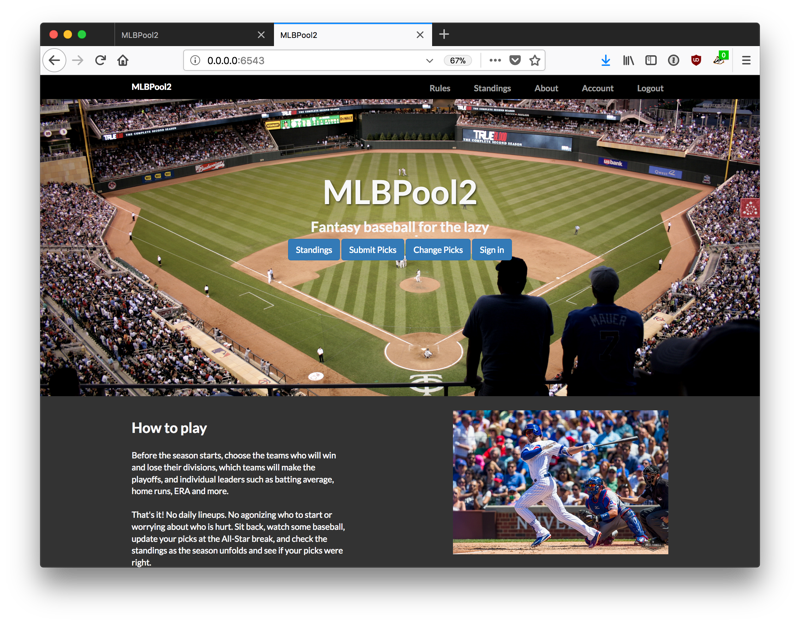 In no particular order: MLBPool2 I pushed a major re-write of MLBPool2 to production just days before the baseball season ended. Why didn’t I wait until the baseball season was over before pushing a major update? Because MySportsFeeds this summer upgraded their API from 1.x to 2.0 and it included a big change to how they track team standings, especially playoff standings. Alternative title: There is No Offseason (or writing my Python apps never ends and that’s ok) The blogging might slow down some, but the coding never stops. Ok, well maybe a little. 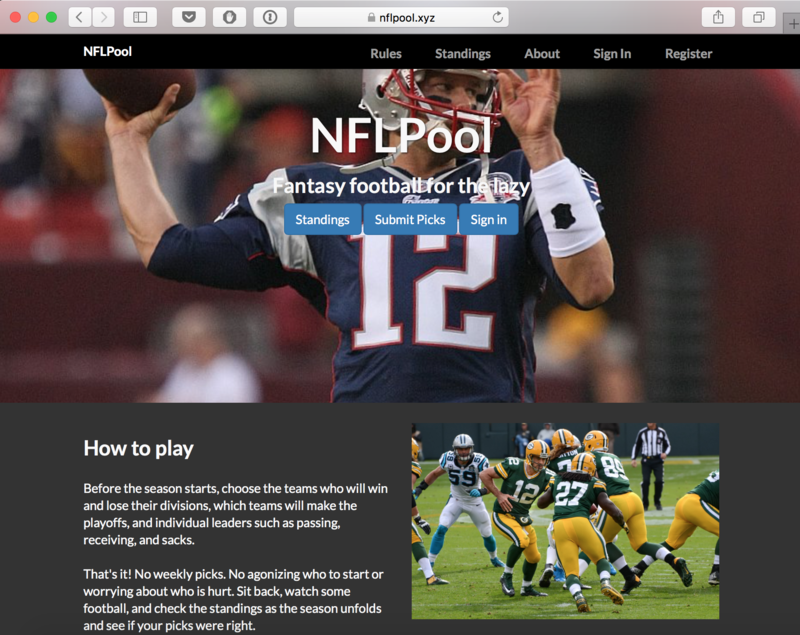 After creating and launching MLBPool2 this past spring, I took a small break and then back at it for the upcoming season of NFLPool. I have two big goals for NFLPool before the 2018 season starts: Fix the time / timezone issue where a player tried to submit his picks before the first game of the season started to, but was denied. A fantasy baseball like application written in Python and built with Pyramid to track and report MLB season pool picks and points for league play. A fantasy football like application written in Python and built with Pyramid to track and report NFL season pool picks and points for league play. The website for the annual Stone Open charity golf tournament.